Q. 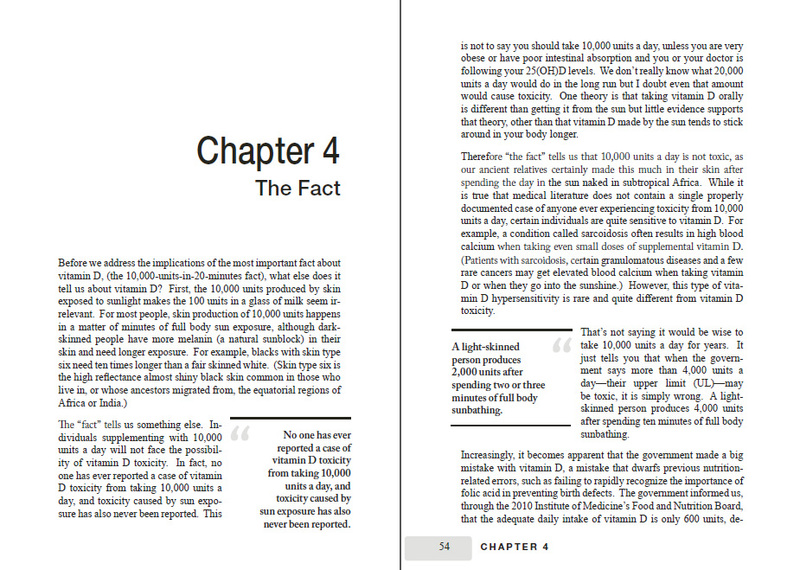 What kind of book is this? A. self help, self empowering. 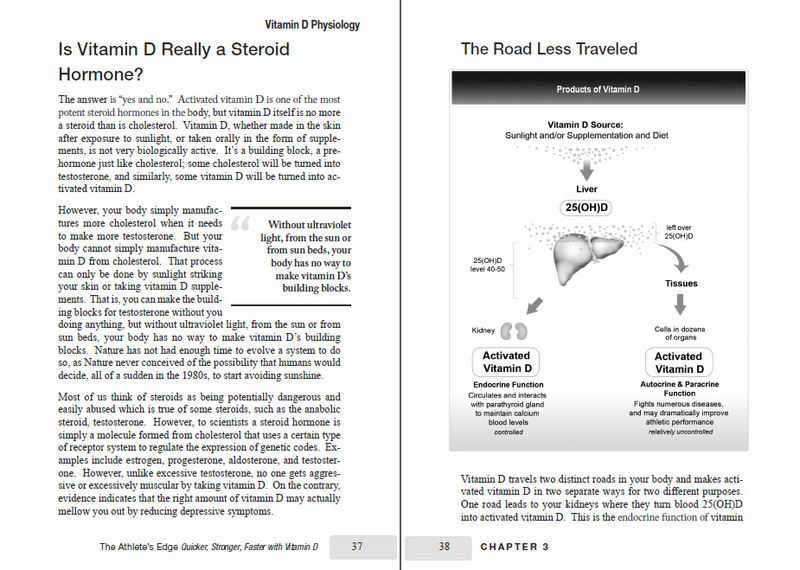 Living or competing in athletics without a knowledge of vitamin D will diminish performance. Don’t let your opponents have this knowledge without you knowing it first. Q. Is the book just for athletes? A. no, it is written as a book that should be in every home library. 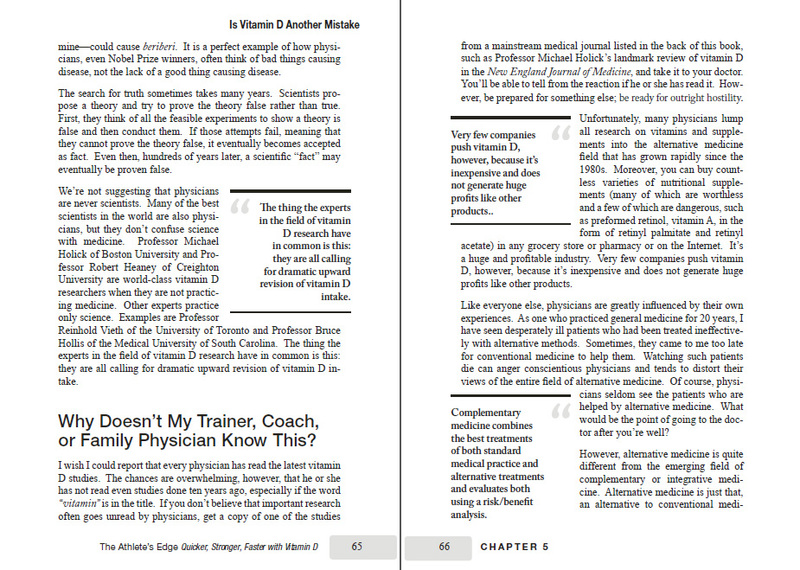 You don’t need to be a 20-year old professional athlete to benefit from reading this book. 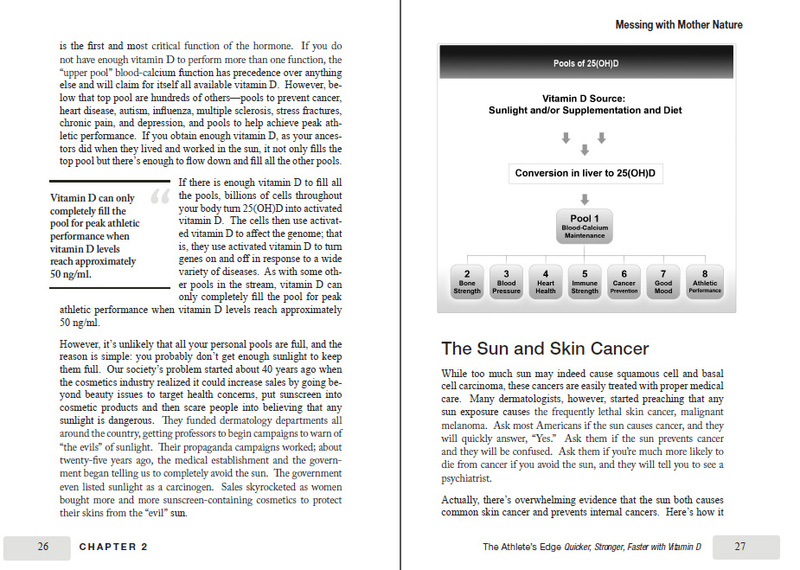 Even weekend-warriors will benefit from reading this text since the benefits from vitamin D are instantaneous. Senior aged adults will even benefit from reading this text not only because of the obvious health benefits accrued from vitamin D and bone health, but also physical performance. It is likely that many immobile seniors could avoid wheelchairs by maintaining adequate vitamin D levels. Q. 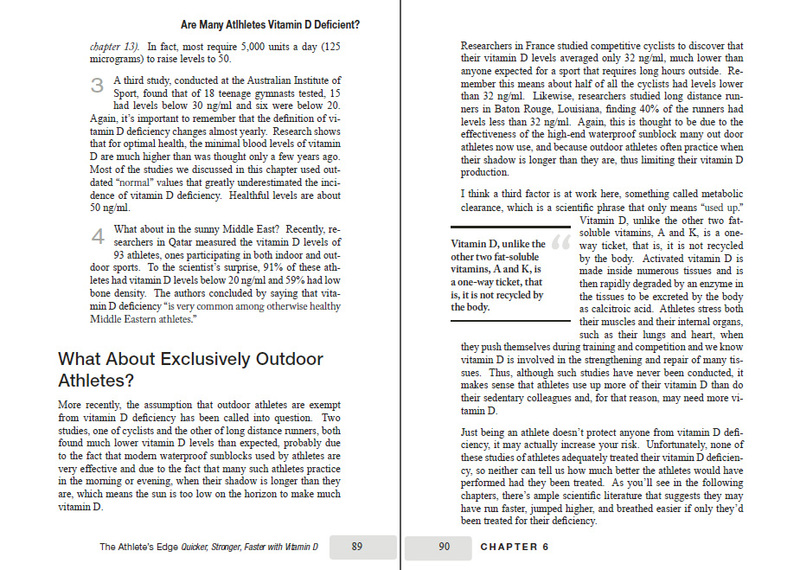 What is the importance of a book about vitamin D to achieve optimal athletic performance? 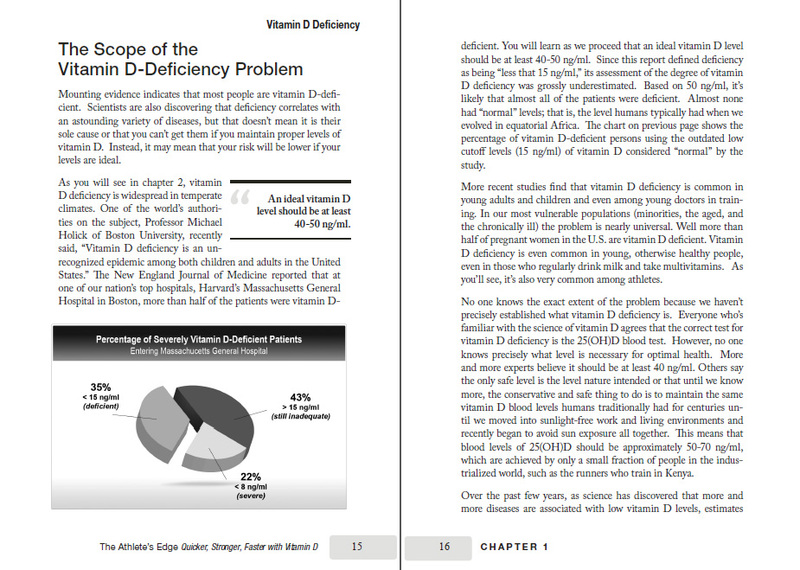 A. for many reasons, the public emulates athletes, wears the same running shoes and athletic gear as famous athletes, and adoption of vitamin D knowledge by the athletic community could serve to create a greater knowledge of the benefits of vitamin D in the population at large.